New Yorkers don't mess around when it comes to their bagels. The NYPD is searching for a man who went on a violent tirade at a deli in Brooklyn while ordering a bagel sandwich early Sunday morning. The customer was apparently angry that his carbohydrate-heavy meal was not ready fast enough, ABC New York station WABC reported. The man demanded that the deli worker make him a cinnamon toast raisin bagel with bacon, egg and cheese, video shows. "Make my cinnamon toasted raisin bagel with bacon, egg and cheese -- right now!" 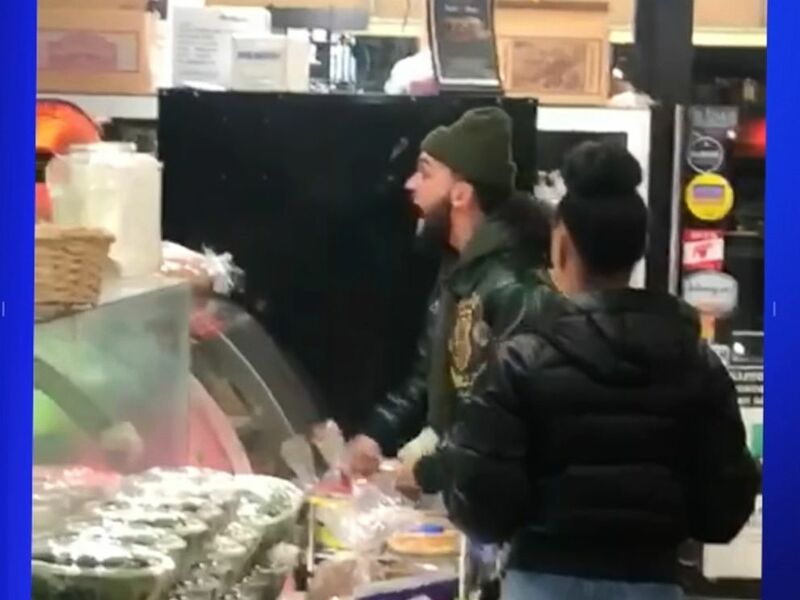 the man screamed at the deli worker while banging on the glass case enclosing other deli essentials, video taken by a witness shows. The suspect then attacked the deli employee, throwing food and other items at him, WABC reported. The victim, who suffered some bruising and swelling, told police that the man was drunk.